A stylish 800mm wide traditional wooden basin unit with ceramic basin from period bathroom specialists Old London. An inspired range of luxury furniture with it's clean classical design blends beautifully with Old London's range of traditional bathroom furniture and sanitary ware. The unit is manufactured to the high standards Old London insist upon throughout their range and comes with a 5 year guarantee against manufacturing defects. Manufactured from MDF, not solid wood. 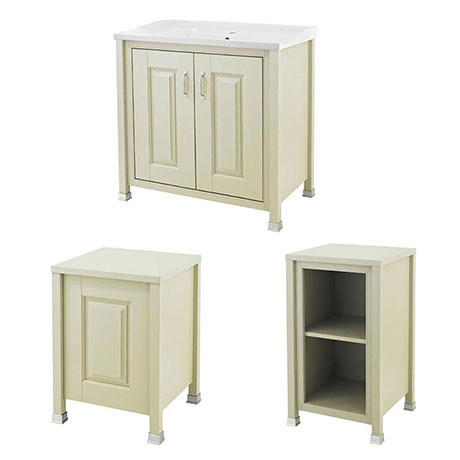 Basin cabinet is available in a variety of packages, please select your preferred option from the drop down menu.